These are a pair of handmade .925 sterling silver cuff links based on the character Cloud Strife. 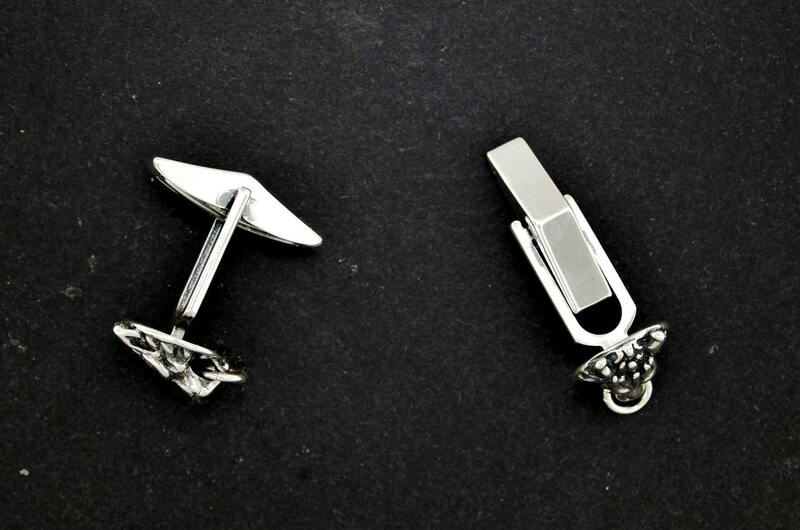 The head of the cufflink is 1.4cm long and 1cm wide and the cufflinks are 2cm long. I make these to order, so take about a week to make them. But I promise they are worth it! Ask any gamer that has played FFVII or watched Advent Children and they will know where the idea for these came from! I was at an anime convention and saw these cheap imported pewter earrings with an awesome design. As I'm allergic to everything not sin precious metals, I decided to remake the same design in silver, but better! These are awesome and well made. Shop replied back immediately, and shipped very quickly! Fantastic quality. Perfect gift for my brother. Seller easy to contact, arrived very quickly to UK - thank you! Seller communicated really well in regards to the package. Item was well packaged and secure. 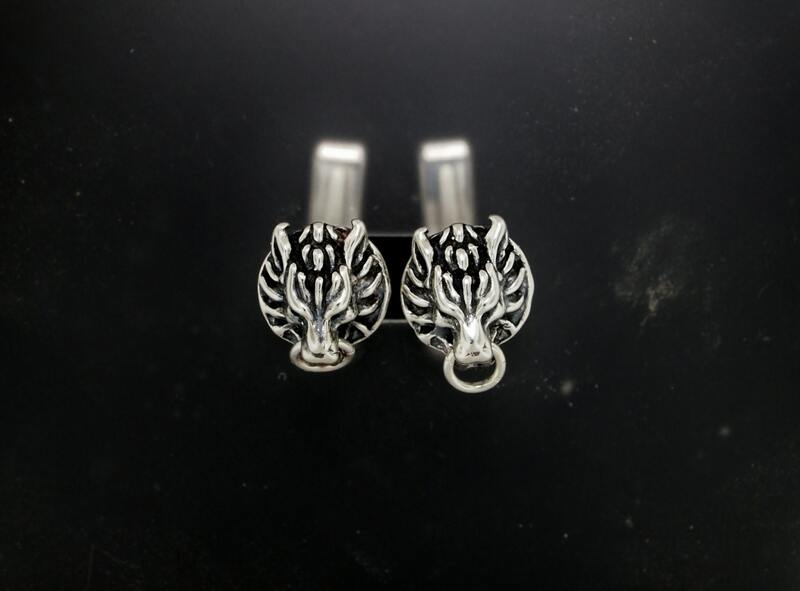 The cufflinks are really good quality. Thank you!